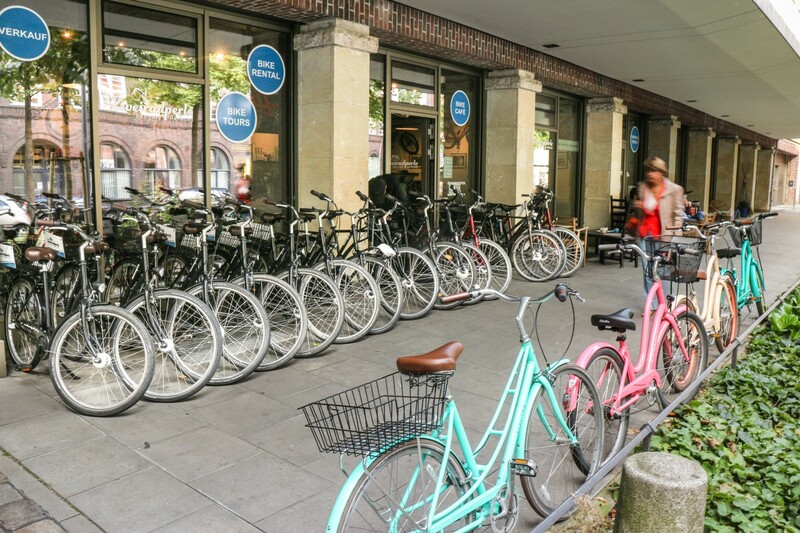 Zweiradperle Hamburg is a bike rental station and offer guided bike tours in Hamburg. We’ll help you to get the most out of your stay in Hamburg. We are looking forward to welcoming you in the Zweiradperle Hamburg. There is no better way in getting to know Hamburg! Both guys who own the shop are very nice, friendly and helpful. Their bikes are excellent, in very good condition. Their tour is a great way to see the city. Our tour leader was terrific, keen to show us all the sites of the city as well as being friendly, funny and engaging. This is an outstanding way to get a quick view of Hamburg and understand some of the key cultural and political factors that shape this wonderful city. 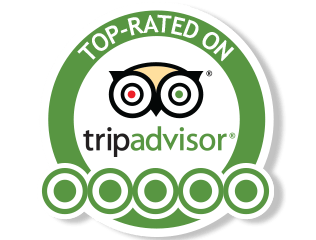 It is definitely worth doing during your visit. A great time. I would certainly suggest the tour to anybody that travels to Hamburg. And the coffee they make is also excellent. Absolutely the perfect way to get to places you normally wouldn’t easily reach by car or by bus. Willi – our guide – led us to to the places that give Hamburg it’s unique character. Nice views, interesting sights, good stories and we had a good laugh as well. 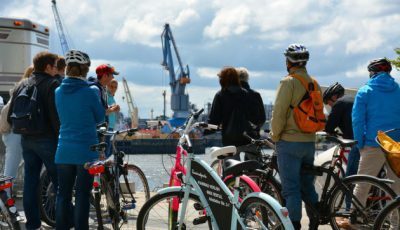 If the weather permits, let nothing holdnyoubback to book a bike tour and cycle your way through the heart of Hamburg! 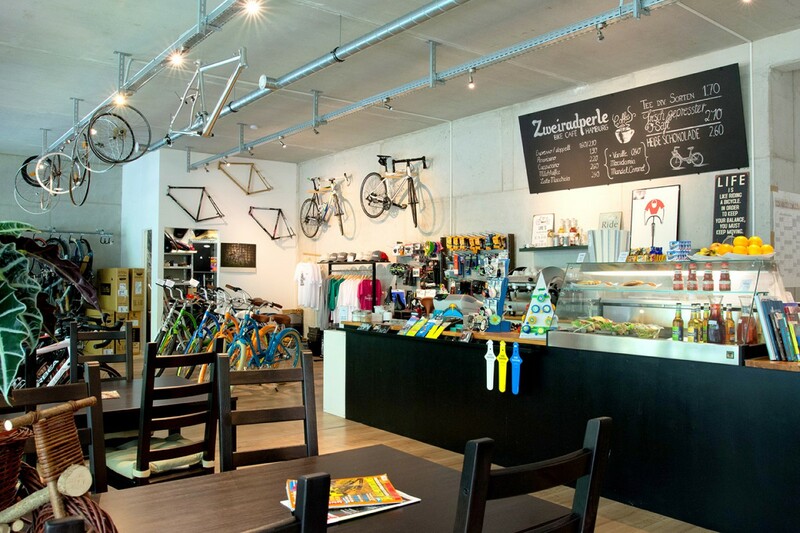 Dave & Willi have managed to create not just a place for bike lovers to come and enjoy an espresso before, after, or in the middle of their ride – but also somewhere that enables travellers a centralized spot to start and finish their Hamburg tours. 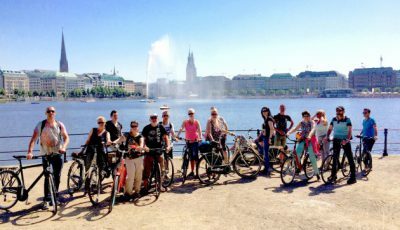 Whether you want to rent a bike for yourself or experience some great tour routes as a group or as a single joining a group (the Gourmet Tour is highly recommended), Zweiradperle has got you covered. If you simply would like a great cup of coffee in a quiet spot within a five minute walk of the main train station and central shopping street, Zweiradperle has got you covered. If you need a tire repair kit, a double espresso, and a comfy place to sit while you are shopping, Zweiradperle has got you covered.